Place this handy selection guide magnet on your refrigerator or lab bench to eliminate the guesswork and make protein standard selection simple. Get one for your lab today! Yes, I want to eliminate guesswork. Just click on the light source in our interactive guide and see how banding pattern changes with light source. 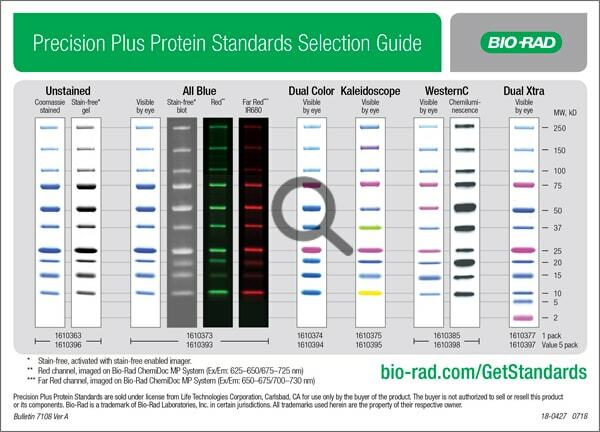 This interactive guide helps you pick the best protein standard for your gels and blots.